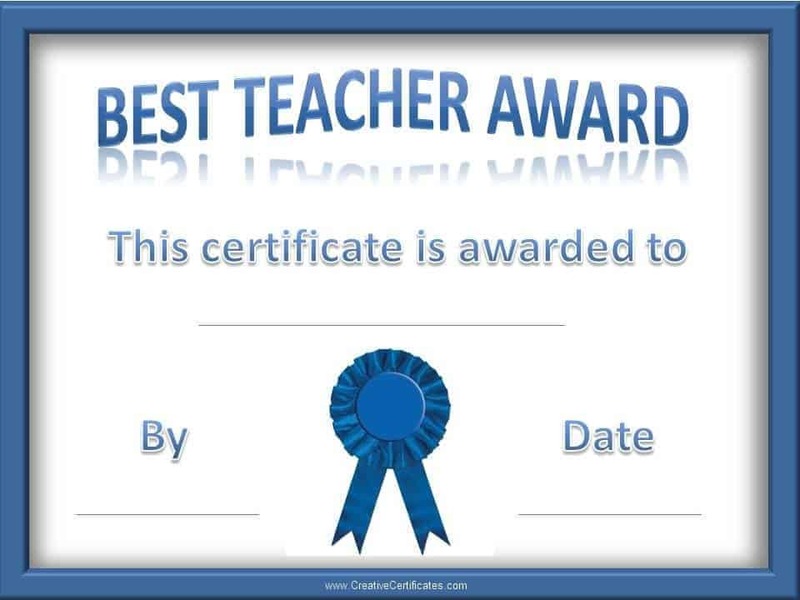 Print the following award certificates to let your teachers know that they are the best! There are a few different versions of these award certificate templates: Teacher of the Year Award, Awesome Teacher, Super Teacher, etc. 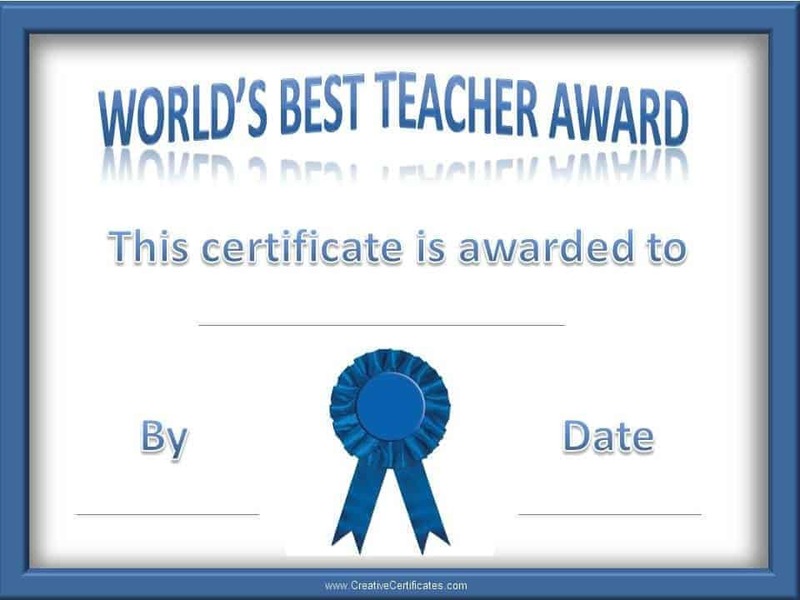 If you would like to type the details before printing the certificates then you can find a version that can be personalized at Creative Certificates. 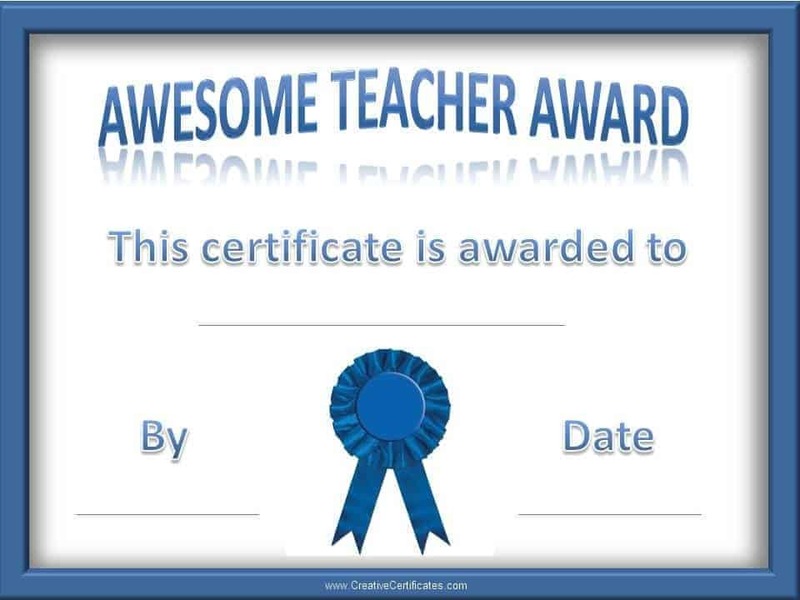 If you would like to make the certificate even more special you can print it on parchment paper or have it framed. In addition to a printable award certificate you might want to create some of these DIY end of the year teacher gifts.